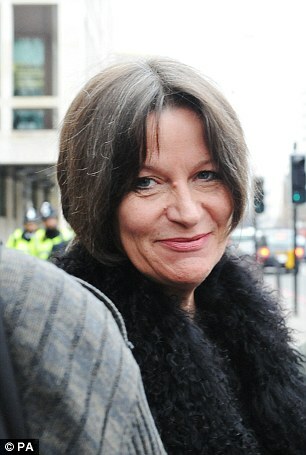 Satirist Alison Chabloz prosecuted for rather funny songs which even Jude can laugh at. Judge rules songs were not satirical as Alison Chabloz claimed, but intended to insult Jewish people. Alison Chabloz, 54, was convicted of three charges relating to three of her songs at Westminster magistrates court on Friday. The district judge, John Zani, said he was satisfied the material was grossly offensive and that Chabloz intended to insult Jewish people. The songs Chabloz were charged over included one titled (((survivors))) – using the white supremacist online convention of placing Jewish names within three brackets. The prosecution was initially brought privately by the charity , then taken over by the CPS. Alison Chabloz was sentenced to 20 weeks imprisonment after being convicted of violating laws against “offensive” or menacing messages, but a judge suspended the punishment for two years. District judge John Zani banned the 54-year-old from posting anything on social media for a year and ordered her to carry out 180 hours of unpaid work. The Judge would understand that more than most as no doubt he carries out many hours of paid non work. What do you think. I think the Jews need to laugh at themselves as all people do and lighten up. The Holocaust is essentially a secular RELIGION, and a dominant one at that. This is why its doubters are prosecuted and harassed as blasphemers and Haters, and intellectual terrorists at the least. For the cultural-Bolshevist Left, any ideas that they don't like are Hate-speech by definition and tantamount to literal violence; whereas their own legal harassment of opponents is considered to be prophylactic, and even their literal violence against disbelievers they consider to be DEFENSIVE by some such sophistry. We saw this play out in real life during the Charlottesville, Virginia and Washington, DC protests in August of 2017 and 2018. Merely going to an event with a lawful court-ordered permit is considered an attempted terrorist act. Meanwhile, violence from the Left, including illegally toppling historical statues honoring White people, is barely prosecuted and never reported on truthfully by the corporate media. A jury recently awarded damages to Jason Kessler, the organizer of the rallies, who was assaulted by an Antifa; he was awarded the grand total of $1, which means that although violence is still technically against the letter of the law, it is understood that when it is carried out against White people who advocate for White people, it could not be more Kosher. If pushed to logical extremes, this kind of attitude eventually will not go well for Jewish people. In fact, there is a long history of this sort of thing. They have a long history of fomenting the "Race card" as a weapon against Gentiles. Holocaust propaganda is just one of the items in the subversive Leftist toolkit--and it must be defended from any Doubt--and its belief mandated with religious zealotry.